Maca powder should be included in anyone’s and everyone’s supplement cupboard. The benefits must NOT be ignored. Well hello again! If you are just coming here from Part 1, we are glad to see you again. If you came here without looking over Part 1 thoroughly, make sure to do so! Maca is too important to miss out on things relating to it. Maca increases your overall energy within days of first consumption. In that aspect, it is indeed a fast acting herb. Many athletes take maca to increase stamina and for peak performance! All that is needed is a small amount in order to feel the energy boosting effects. You will DEFINITELY feel it, and you will DEFINITELY not regret it! Overall health is important, obviously. Overall health encompasses basically any and all health issues of you as a person. Maca tremendously enhances your overall health! Not only does it supply adequate levels of iron, maca also helps to restore your red blood cells, which is key for your cardiovascular health, among other things. Your bones and teeth are also kept healthy, and any wounds you may have begin repairing at an increased rate of healing. An increase in muscle mass is often noted when maca supplementation is included with a proper workout and diet routine. The epidermis woot woot!! 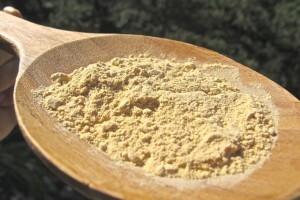 Maca has been shown to clear skin up from various blemishes, as well as acne. Skin sensitivity is also increased from ingesting maca, and any extreme weather conditions won’t impact your skin as much as they should, if maca is part of your lifestyle! Ahh, last but not least – the very ingredient that decides whether you’re in a good mood or bad mood… Maca helps to battle against stress, angst, anxiety, depression, mood swings, among other ailments, physical or mental. An increase in mental focus and clarity is also reported when supplementing with maca. Does maca seem too good to be true?! Maybe – maybe not. What we DO know is that maca is an awesome supplement and can help you live a fuller, healthier life, in many ways! Don’t forget to get familiar with the other benefits of maca, in Part 1 of our Maca series, and then go out and get yourselves a quality maca supplement! !